Rising liabilities are a way of life for most people. What should we do if we face identical financial challenges? Do you know any functional working adults who have never borrowed any money? I can’t think of any. Our integrated global financial system is geared toward economic growth and credit expansion. We are all cogs within a planetary engine of societal progress that’s lubricated by the slime of rising levels of personal, corporate and government debt. For regular people like you and me, the plus side of being a nano component within our World Machine is the flexibility we gain to buy things – big or small – without needing to have all the cash required to meet the full price of things we desire. If our credit rating is decent, then you and I can borrow money to pay for a compact condo or a massive mansion; a plane ticket to London or lunch at a fancy restaurant in Bangsar; a classy car or a diamond ring meant for an elegant finger. 1. Use the next few years to break the back of your commonplace debt addiction. The best way I know for you to do so is to DECIDE here and now – and to then make that commitment to yourself on paper – to work harder and smarter than you ever have before in your life, for at least the next three to five years. You will plaster your nose to the grindstone for a specific reason: To boost your active income (from your salary or business drawings). 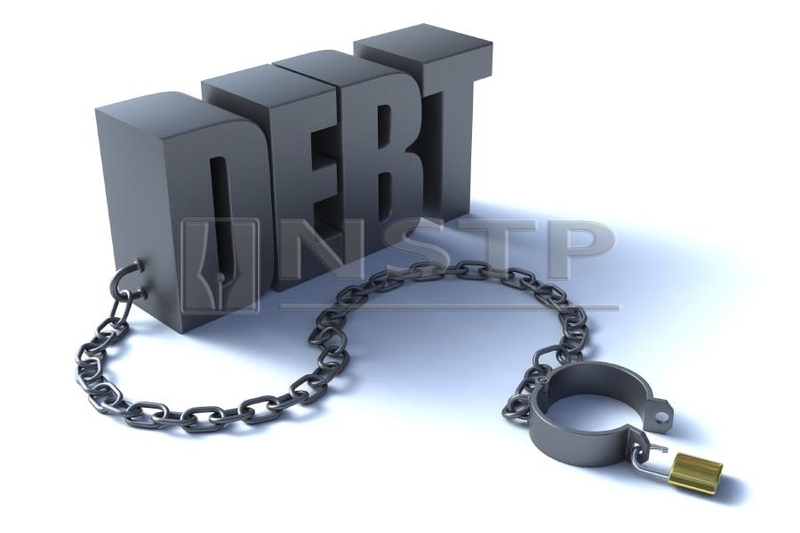 You should simultaneously make another inviolate commitment to yourself: Do NOT increase your expenses during this vital season of debt elimination. Your goal: To arm yourself to the teeth for your personal battle against debt. 2. List all your liabilities... twice. Then construct two distinct listings of all your debts. First, list them in order of APR, from highest annual interest charge to lowest. Second, list them in order of size, from smallest to largest. 3. Never pay your debts on time. I’m not suggesting you act like a deadbeat. Instead, I urge you to pay all your required minimum payments on each debt, each month, EARLY! Over time, this good habit will result in a long lasting improved credit rating. 4. Use your excess cash flow to strategically attack your debts. Your debts are the enemy. But your creditors who lent you the money (with the exception of unsavoury loan sharks who should be jailed) are not your enemies. They are your friends who entrusted you with their capital. You should repay them in a trustworthy, timely, preferably accelerated, fashion. After you have repaid all minimum monthly payments due on each debt, use some of your excess cash flow to pay extra on the first liability in one of your two lists (see lesson 2). If you are disciplined and aiming for efficiency in your PDRP (personal debt repayment programme), use all your excess cash flow earmarked for extra debt repayments to pay more each month toward the outstanding loan with the highest APR. Keep doing so without fail. Once that top priority debt is paid off, allocate all your extra debt repayment money plus the previous minimum on that first loan plus the current minimum on the second loan to increase your monthly payments on the new targeted liability. Repeat the process till all your loans are beaten into submission. This approach is mathematically efficient. But if you aren’t super disciplined and are terrified or depressed about the state of disarray your finances are in, then use the second debt list (from smallest to largest loan). Pay all your minimums early. Then use your excess cash flow to pay more toward the smallest loan. Because it is the tiniest of your outstanding liabilities, you will be astonished at how quickly it disappears. Once it does, celebrate (cheaply). After that, use the excess plus the minimum on the just defeated loan plus the minimum on the second smallest loan to pay down the next liability in your list. Continue this process until you vanquish all your debts. This second approach is my favourite because it is emotionally more effective. What I’ve shared here is not mere theoretical knowledge; through my own fault, I suffered credit card woes twice in my life: First in England in the 1980s and then for a shorter time in Malaysia in the 1990s. Today I use these four lessons in my financial planning practice to help my clients. I hope they help you, too.